I had so much fun making my blocks for the Scrappy Hedgerow Christmas Block Swap, that I made a few (ahem) extra for me to make a second quilt. This week, I took advantage of having an extra day off and finished the candy cane blocks. Then, as you know, one thing lead to another and I started - and finished - sashing the blocks too. It brings back memories of playing with Barbies and colouring in "Gibson Girls" colouring books on family trips to Florida. 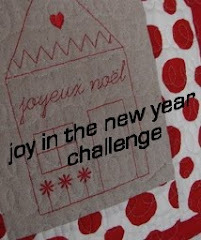 I so love this quilt top and can't wait to get on with the next steps! Now the *only* thing I need to do is the backing, quilting and binding. I certainly don't want to hurry winter along, but I am going to enjoy cuddling under this quilt come Christmas time.